In the centre of Durisdeer village. I have been trying hard to find an excuse to post this because of its excellent qualities and general historic value. Finally I found out that he was lieutenant-colonel of Dundee's regiment of horse and was later appointed colonel of the 6th Horse Guards Regiment. A bit thin I know, but I think it sneaks in under the wire. 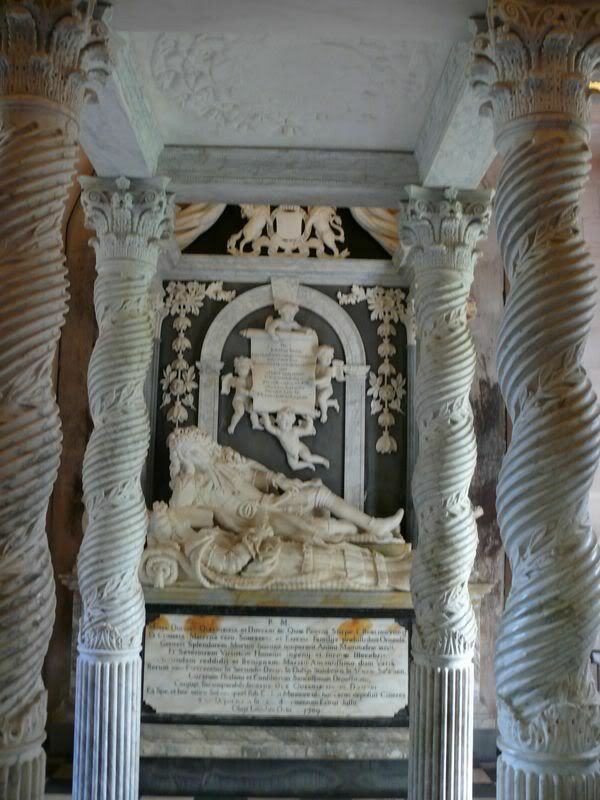 This is the mausoleum of the 2nd Duke of Queensbury, especially surprising because of its location in a small village church. 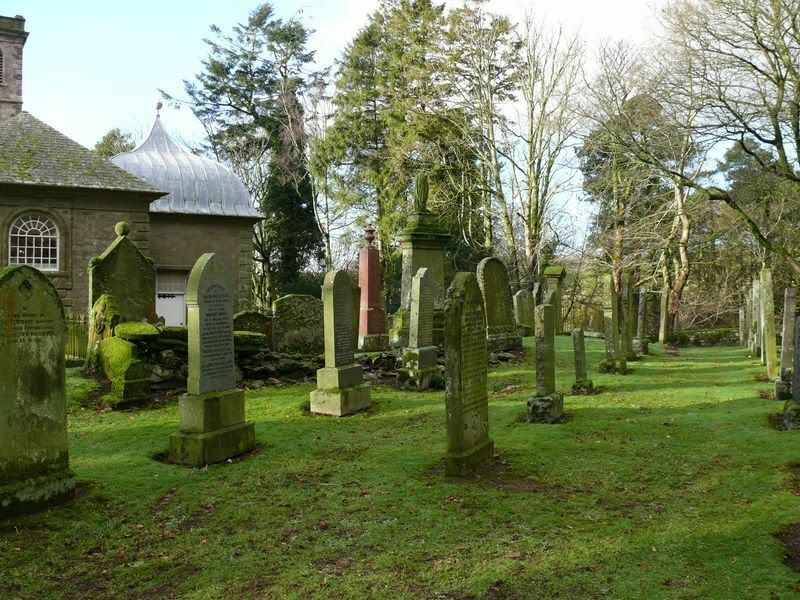 Described in church literature as the Queensbury Isle, the mausoleum forms the north transept of the church (i.e. opposite side to the main entrance). 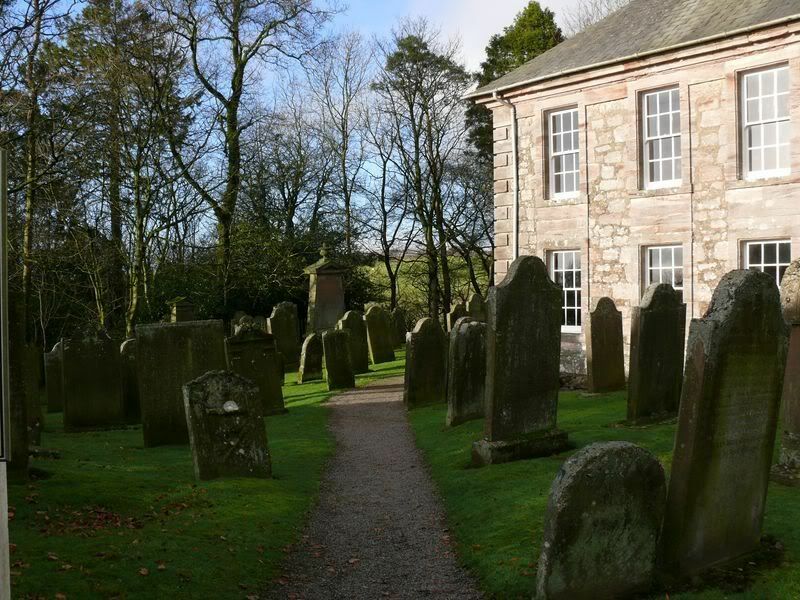 The mausoleum cannot be entered from the church but go around the right hand side of the church and the second door is the mausoleum. 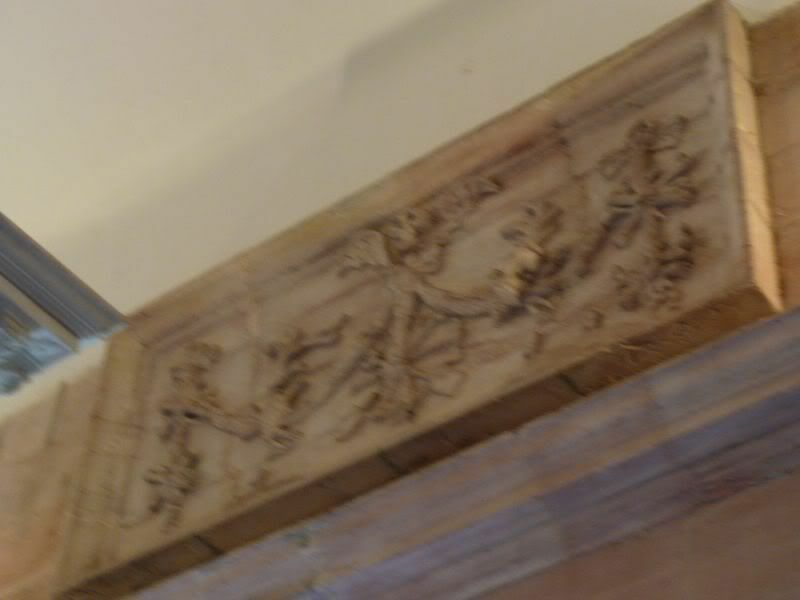 It is kept permanently open, the door is a bit stiff, there is a light switch inside. 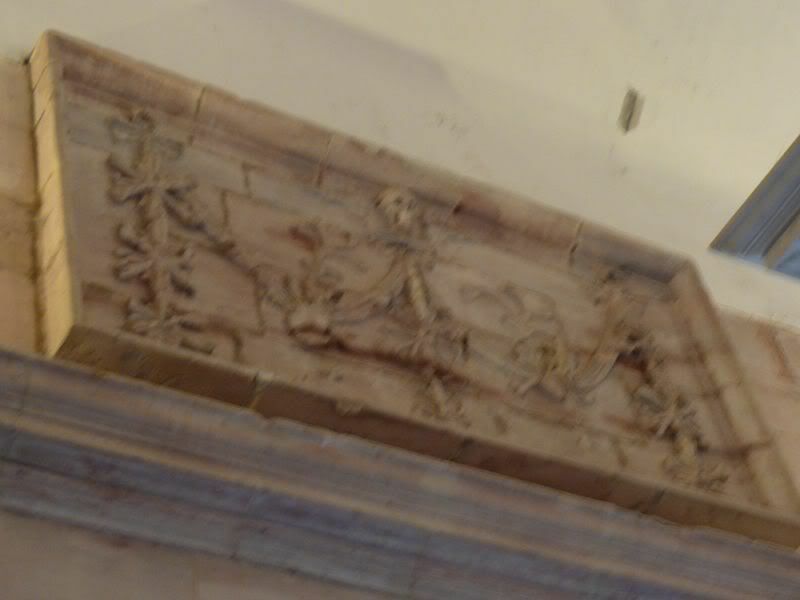 You can see the exterior of the mausoleum and the door in the first photo. 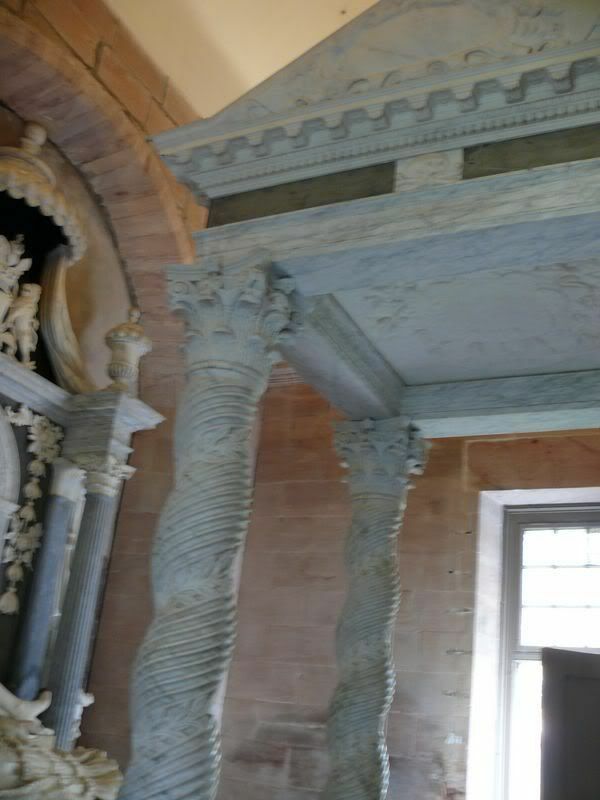 The inside is quite magnificent for something found in a modest church but my photos fail to do it justice. You would really need a fish-eye lens to get really good photos as you just cannot stand far enough back but I hope it gives a feel for the memorial. James Douglas, 2nd Duke of Queensberry and 1st Duke of Dover (18 December 1662 - 6 July 1711), was a Scottish nobleman. 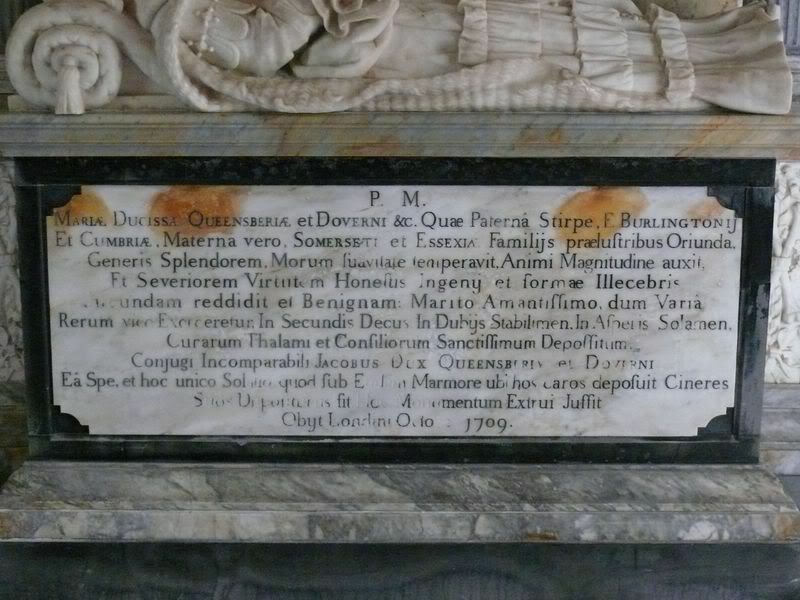 He was the eldest son of William Douglas, 1st Duke of Queensberry and his wife Isabel Douglas, daughter of William Douglas, 1st Marquess of Douglas. 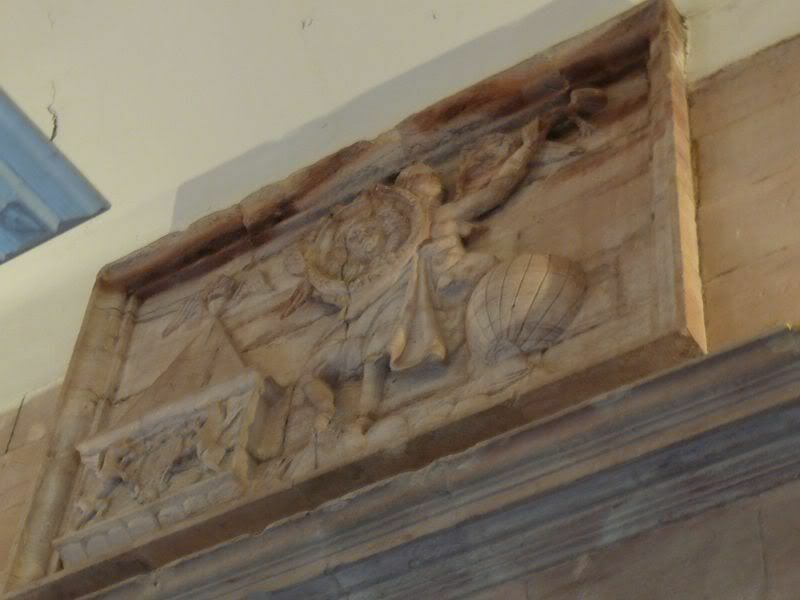 Educated at the University of Glasgow, he was appointed a Scottish Privy Counsellor in 1684, and was lieutenant-colonel of Dundee's regiment of horse. He joined William III in 1688 and was appointed colonel of the 6th Horse Guards Regiment. He was appointed Lord High Treasurer of Scotland from 1693 and Keeper of the Privy Seal of Scotland from 1695 to 1702. He was Lord High Commissioner to the Parliament of Scotland in 1700, 1702 and 1703, in which role he procured the abandonment of the Darién scheme. 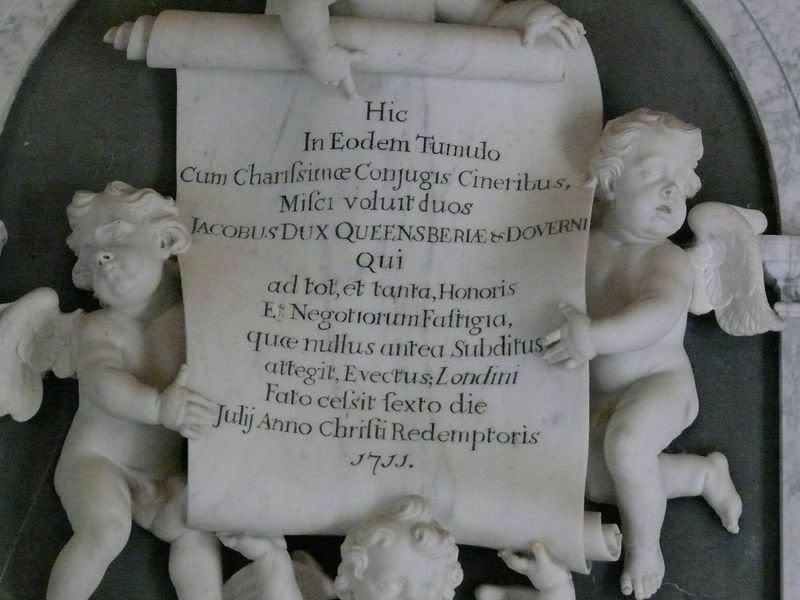 He was appointed a Knight of the Garter in 1701, and was Secretary of State from 1702. 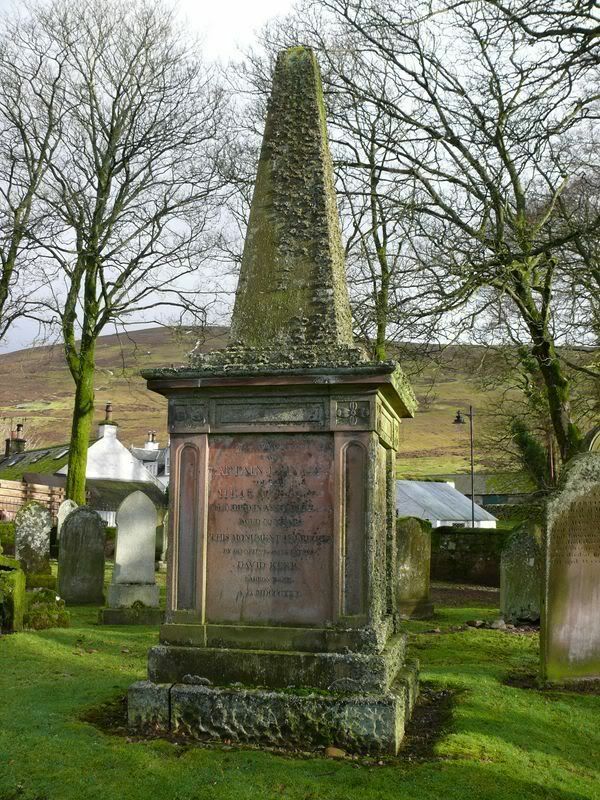 He encouraged the Jacobites by his undecided attitude on the question of the settlement, and was deluded into unconsciously furthering the Jacobite designs of Simon Fraser, 11th Lord Lovat. He withdrew from government in 1704. He was reinstated as Keeper of the Privy Seal of Scotland in 1705, was a commissioner of the estates in 1706, and procured the signing of the Treaty of Union. 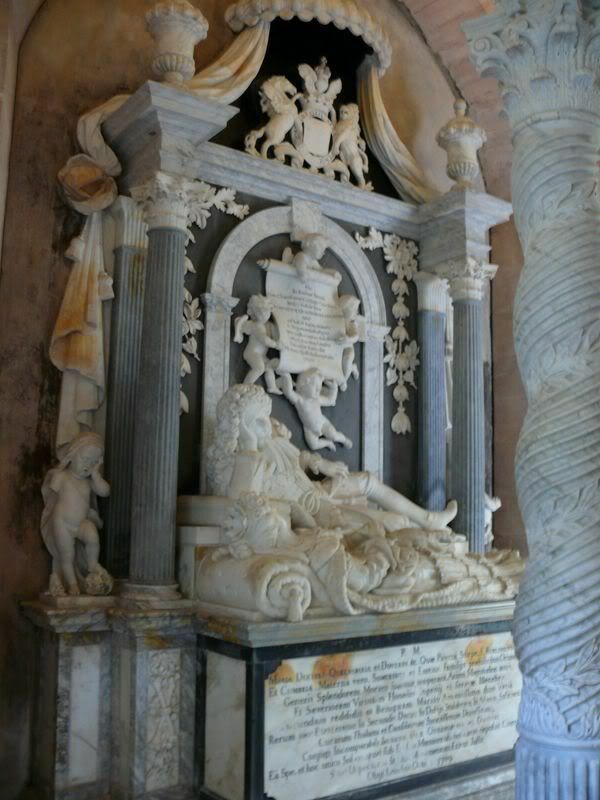 He was Secretary of State for Scotland from 1709 until his death. He was created Duke of Dover, Marquess of Beverley and Earl of Ripon in 1708, and appointed to the British Privy Council in the same year. Queensberry House in Edinburgh is today part of the Scottish Parliament Building. 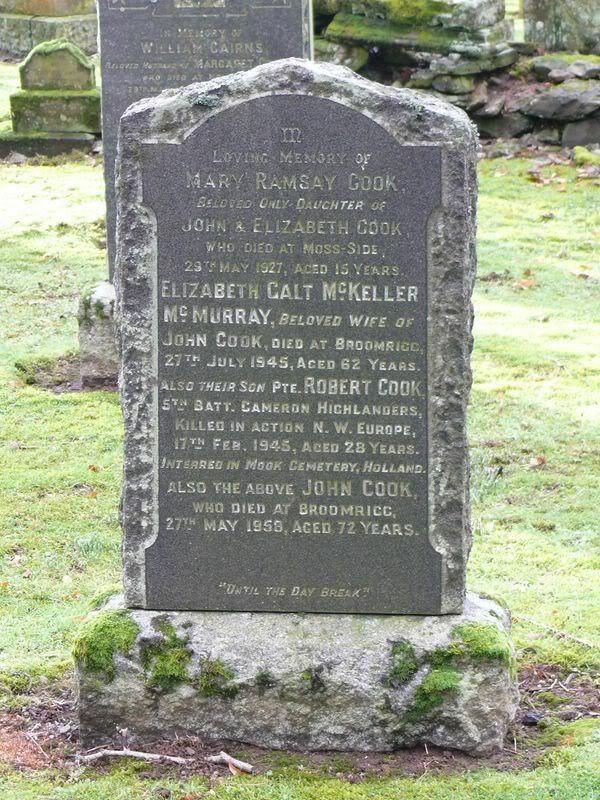 Additional information: Son of John and Elizabeth Cook, of Thornhill, Dumfriesshire. Grave/Memorial Reference: I. B. 22. 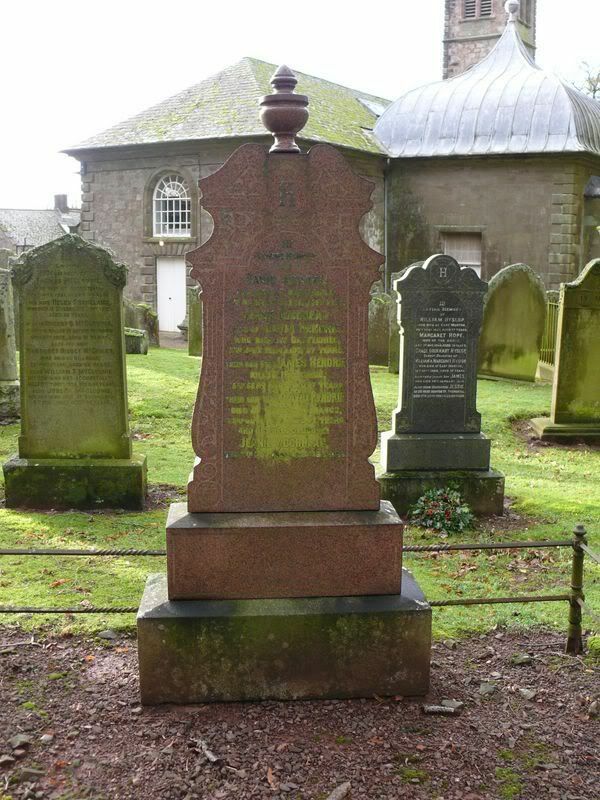 Additional information: Son of David and Jeanie Hendrie, of Castlehill, Thornhill, Dumfrieshire. 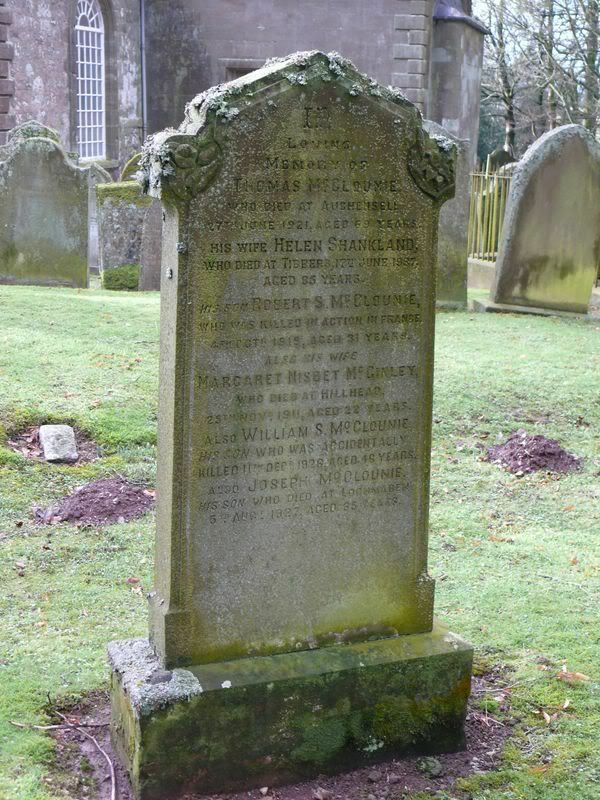 Grave/Memorial Reference: Pier and Face 7 D.
Additional information: Son of David and Jeanie Hendrie, of Castle Hill, Durisdeer, Thornhill, Dumfries. Grave/Memorial Reference: I. Y. 12. 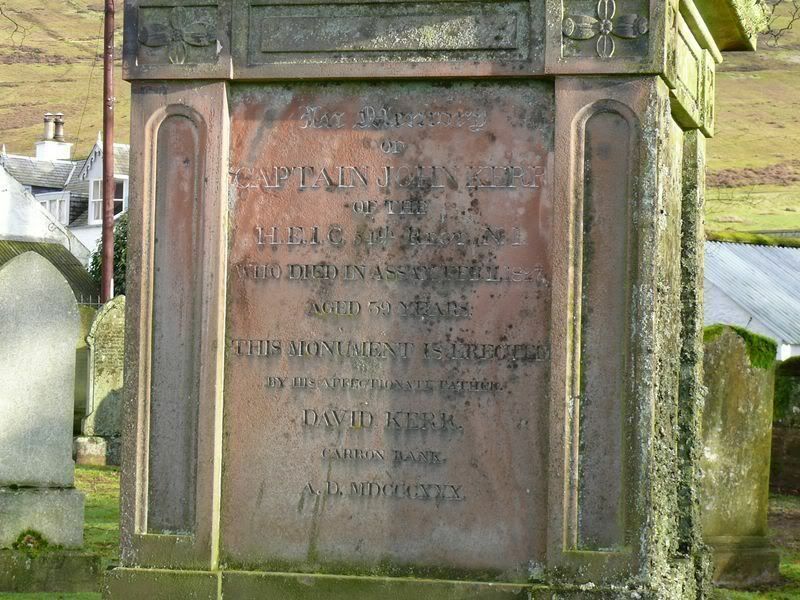 "In memory of Captain John Kerr of the H.E.I.C. 54th Regiment N.I. 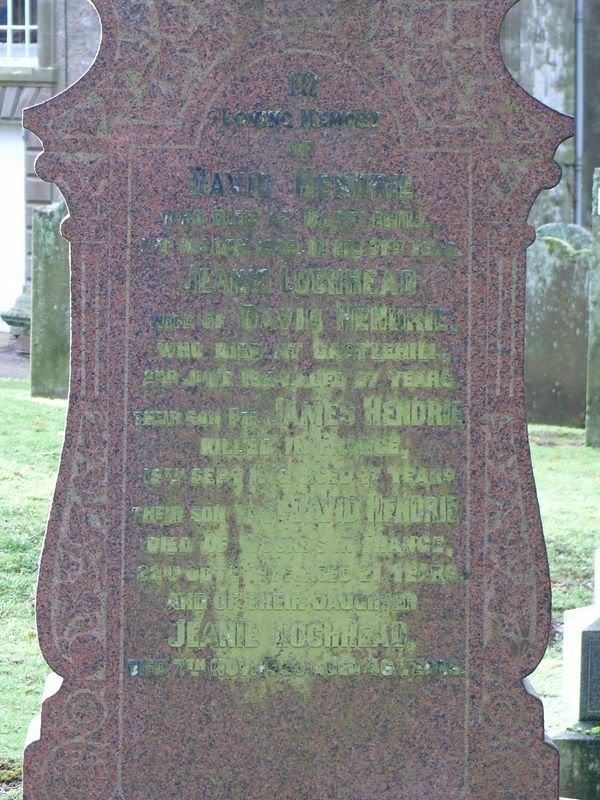 who died in Assam Feb 11th 1927 aged 59 years by his affectionate father David Kerr Carron Bank A.D. MDCCCXXX"
if anyone knows what HEIC or NI stand for, please post the info. 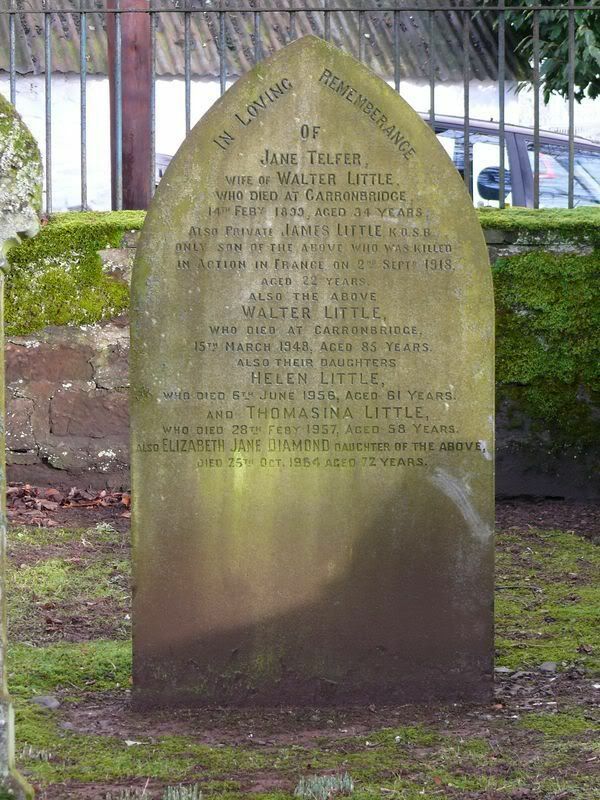 Additional information: Son of Walter Little, of Carronbridge, Thornhill, Dumfriesshire. 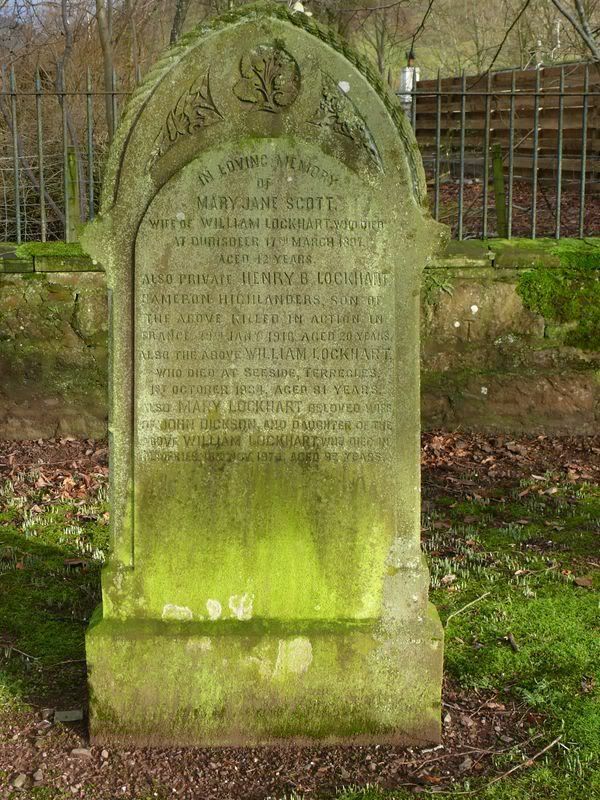 Additional information: Son of William Lockhart, of Merkland, Lochrutton, Dumfries. 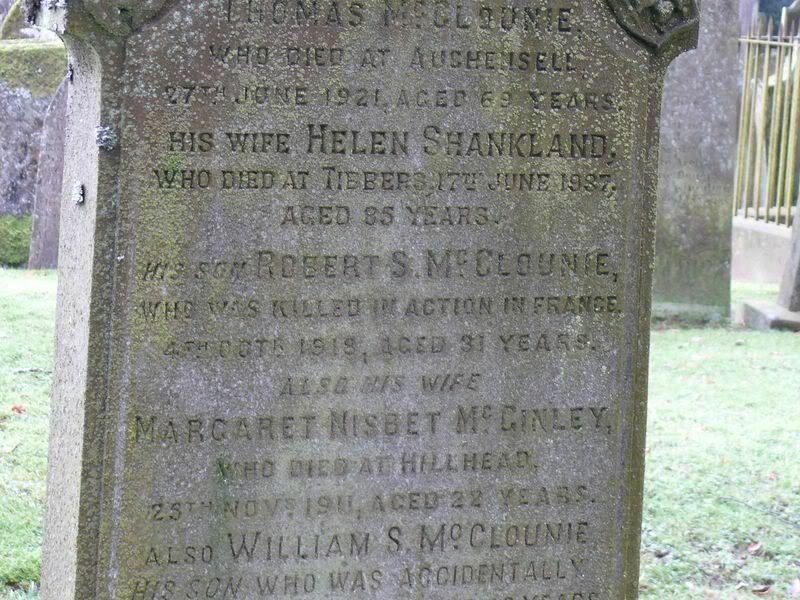 Additional information: Son of Thomas and Ellen McClunie, of Auchensell, Thornhill, Dumfriesshire; husband of the late Margaret McGinley McClunie. Grave/Memorial Reference: IV. F. 2. 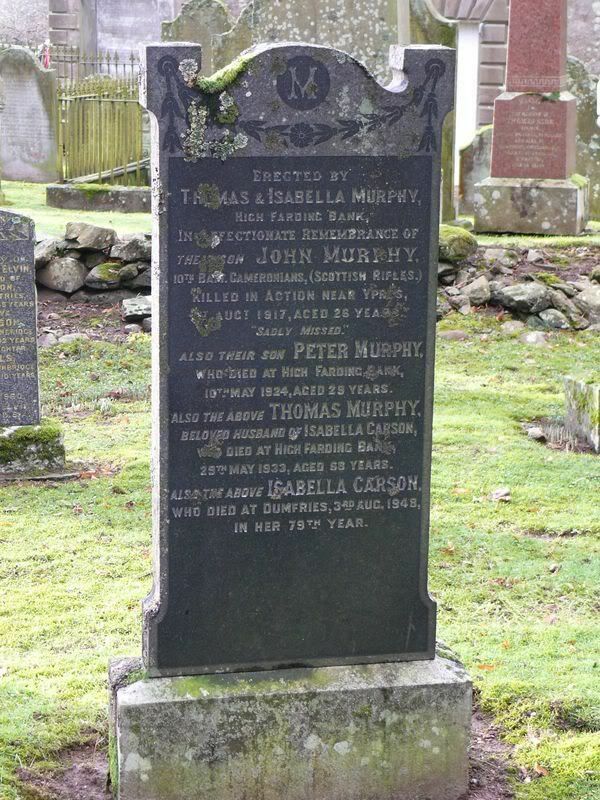 Additional information: Son of Thomas Murphy, of High Farding Bank, Thornhill, Dumfriesshire.